The main sail on Serenity looks like it is original to the boat. Even if it is not, it is getting old and tired. 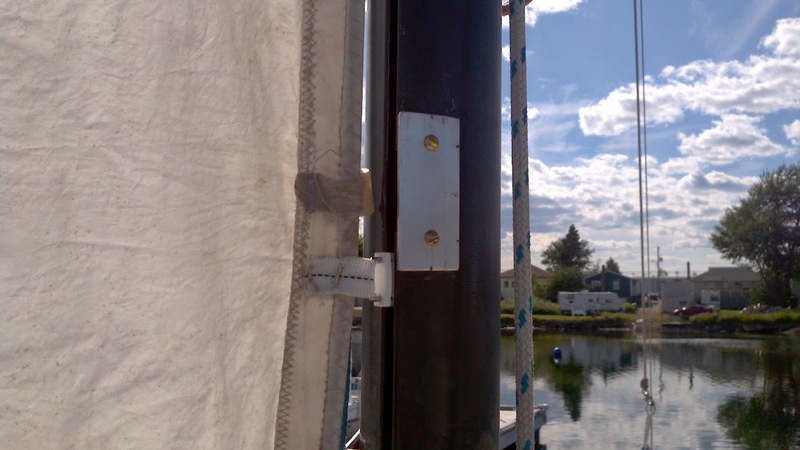 The slides are sloppy, the webbing is worn, and the sail is difficult to raise. I've been talking to a sailmaker about fixing it up. To save some money, I took a seam ripper and removed most of the slides. 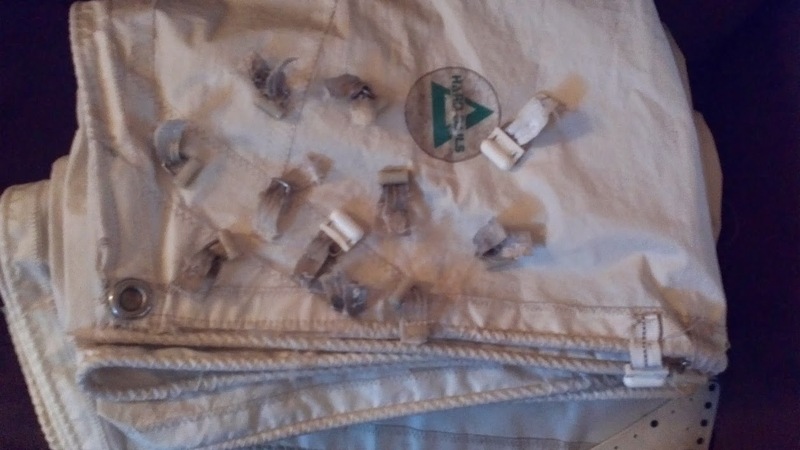 In the picture below you can see where I had to sew on a new slide, because the old one was forcing the gate open. There must have been a lot of stretching in the sail for that one to move there. I also need a new sail cover. The one which came with the boat was too small at the aft end, and made covering the sail difficult. It is now almost the middle of June, so sending the sail away means doing without it for part of the sailing season, but no turning back now. Hopefully they can turn it around quickly, and it won't be too substantial a bill.